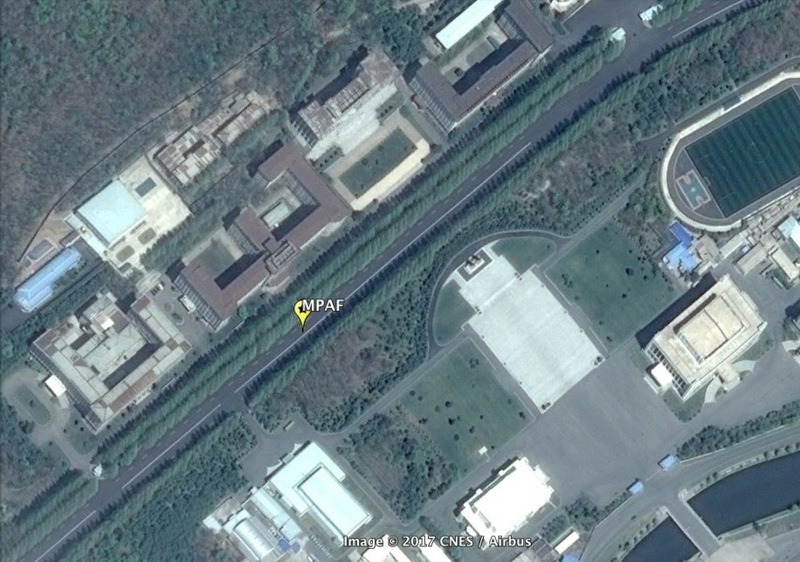 The Ministry of People’s Armed Forces [MPAF] is the DPRK’s defense ministry. It is responsible for the Korean People’s Army’s [KPA] administrative affairs, logistics and rear services, processing munitions orders and conducting external affairs and diplomatic activity with foreign militaries. The MPAF is directly subordinate to the dual command and control of the DPRK State Affairs Commission [SAC] and the Workers’ Party of Korea [WPK] Central Military Commission [CMC] and ultimately answers to the KPA Supreme Command. The MPAF’s primary mission, aside from representing the KPA externally (i.e. outside the DPRK), is managing and processing the manpower and resource needs of the country’s conventional armed forces and special operations forces [SOF] and has at least ten subordinate organizations. Notably, because of its rear service and administrative missions, the MPAF is the landlord (property owner) for the KPA General Staff and KPA General Political Department. The MPAF’s most critical function in the KPA is its role in resource planning, allocation and finance. It serves as a kind of gatekeeper and interface in the defense acquisition process between the KPA General Staff and the WPK Central Military Commission and the WPK Munitions Industry Department. Bureaus, military units and other organizations subordinate to the MPAF and the KPA General Staff submit their requests/orders through the MPAF which, after further formulation and input from other organizations in the KPA and WPK, passes them onto the CMC which technically authorizes munitions and defense production. The MPAF also owns a number of productions units and trading companies involved in earning foreign currency through exports as well as domestic distribution. The MPAF and KPA General Staff own or have controlling stakes in at least 36 corporate entities and enterprises. Institutions involved in foreign currency earning activities are known in some sources, variably, as the MPAF’s 44th Bureau or the MPAF’s 73rd Bureau. The KPA General Political Department’s Organization Bureau (through its Foreign Currency Section) maintains fairly broad financial auditing and regulatory powers on KPA-owned companies. This occasionally leads to bureaucratic turfwars and financial malfeasance and can lend itself to small-scale corruption. Ministry of the People’s Armed Forces complex (Photo: Google image). The MPAF External Technology Exchange Bureau links both with KPA-owned production units as well as a enterprises under the WPK Munitions Industry Department. It is involved in the purchase of IT, communications and weapons technology through the DPRK’s defense and military treaties with foreign countries. Until 2010, trading corporations owned by the MPAF External Technology Exchange Bureau were involved in sales of small arms and other munitions to foreign countries. The KPA General Logistics Department [GLD] (also known as the KPA General Rear Services Bureau) the largest of the MPAF’s subordinate organizations in terms of personnel size and geographical footprint. The GLD Organization and Planning Bureau is responsible for resource allocation in the whole of the KPA including food, energy, clothing, munitions and medical supplies. It links with other KPA bureaus within the MPAF and the KPA General Staff for resource planning. The GLD controls a network of farms and factories which supply KPA units with food and clothing through the GLD Farm Bureau and GLD Provisions Bureau. Some of the GLD production units related to food and clothing supply products to DPRK civilians and products for foreign export. The GLD also maintains several construction brigades in the GLD Property Management Bureau and GLD Road Management Bureau. These brigades (called “soldier-builders” in state media reporting) are involved in the construction and maintenance of buildings, factories and other structures at KPA bases as well as the construction and maintenance of critical infrastructure in and around KPA units. During 2016, Kim Jong Un [Kim Cho’ng-u’n] ordered several construction and engineering units previously under the Ministry of People’s Security to be transferred to the MPAF; it is probable these units were subordinated to the GLD. The GLD Medical Bureau is responsible for hospitals and medical care in the KPA. It manages the KPA’s network of hospitals, clinics and medical centers. It is also responsible for the provision of pharmaceuticals and medical supplies to KPA hospitals and clinics. In addition to that the the GLD Medical Bureau is responsible for the education and training of physicians, nurses and other medical personnel deployed to KPA units through the Military Medical College and the Kim Hyong Jik Military Medical University. The KPA Cadres’ Bureau is responsible for the promotions and demotions within the military. The Cadres’ Bureau’s main focus is on promotion and assignments of the KPA’s general-grade officers and commanders of regiments and divisions, as well as defense attaches posted to the DPRK’s foreign missions and embassies outside the country. The Cadres’ Bureau has a director, three deputy directors, two section chiefs and a senior WPK cadre and its main organization is its Screening Committee. The committee generates promotions order lists and vets mid-level and senior KPA officers for promotion using personnel data submitted by the KPA General Political Department. Once these promotions order lists are made, they are submitted to the incumbent Minister of the People’s Armed Forces and Director of the KPA General Political Department. Promotions are then handed over to the KPA Party [WPK] Committee and the the WPK Organization Guidance Department’s senior deputy director responsible for military affairs. The MPAF Foreign Affairs Bureau is responsible for external relations and military diplomacy with foreign countries and their defense ministries. The Vice Minister of the People’s Armed Forces for External Relations typically escorts senior KPA and MPAF delegations prior to their departure to foreign countries and coordinates relations with defense attaches stationed in the DPRK. The MPAF is directly subordinated to the joint command and control of the SAC (the government/state) and the CMC (party). It is ultimately subordinate to the unitary command of KPA Supreme Commander (who is concurrently SAC and CMC Chairman, according to the DPRK Constitution and the Workers’ Party of Korea Charter). The MPAF links with the KPA General Staff, the KPA General Political Department and the Military Security Command. Until the late 2000s, the MPAF was an umbrella organization for the KPA. The KPA General Political Department, the KPA General Staff, the Military Security Command, the KPA Reconnaissance Bureau and the Guard Command, were all technically subordinate to the MPAF, or at least all were organizationally under the MPAF apparatus. This changed beginning around 2007 with the expansion of the National Defense Commission [NDC] whereby these security organizations migrated out of the MPAF apparatus and were all subordinated to the NDC. In 2016, the NDC was downgraded to a temporary crisis management organization with the establishment, by constitutional amendments, of the State Affairs Commission. Gen. Pak Yong Sik [Pak Yo’ng-sik] has served as the Minister of the People’s Armed Forces since June 2015. Gen. Pak also serves as a member of the WPK Political Bureau, a member of the State Affairs Commission and a member of the WPK Central Military Commission. He is the former political director of the Pyongyang Defense Command [PDC], the corp-level unit responsible for the military defense and protection of the DPRK’s capital city. He has close ties to the core leadership. Colonel-General So Hong Chan [So Hong-ch’an] serves as 1st Vice Minister of the People’s Armed Forces and Director of the KPA General Logistics Department. Col. Gen. So is also a member of the WPK Central Military Commission. He has served as head of the GLD since 2013, but may have changed positions at one point on a temporary basis in 2015. There are at least a half dozen Vice Ministers of the People’s Armed Forces. Like Vice Chiefs of the KPA General Staff, some of these individuals have concurrent positions or policy portfolios and others serve as senior military advisors and provide the core leadership with a personnel bench for quickly rotating into a command assignment or to conduct inspection activity. Notable Vice Ministers of the People’s Armed Forces are Colonel-General Yun Tong Hyon [Yun To’ng-hyo’n] who is the KPA’s leading official for weapons procurement, research and production and Colonel-General Kim Hyong Ryong [Kim Hyo’ng-ryong] a highly respected military commander of the IX and II Army Corps who has recently been observed conducting external affairs activities. 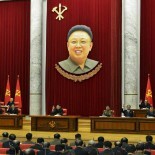 © 2010 North Korea Leadership Watch. All Rights Reserved.